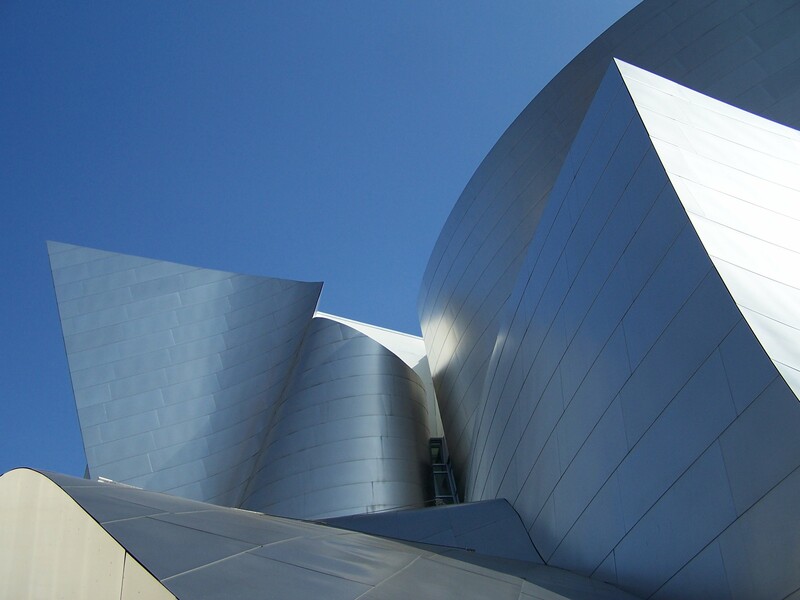 Frank Gehry is one of my favourite architects. 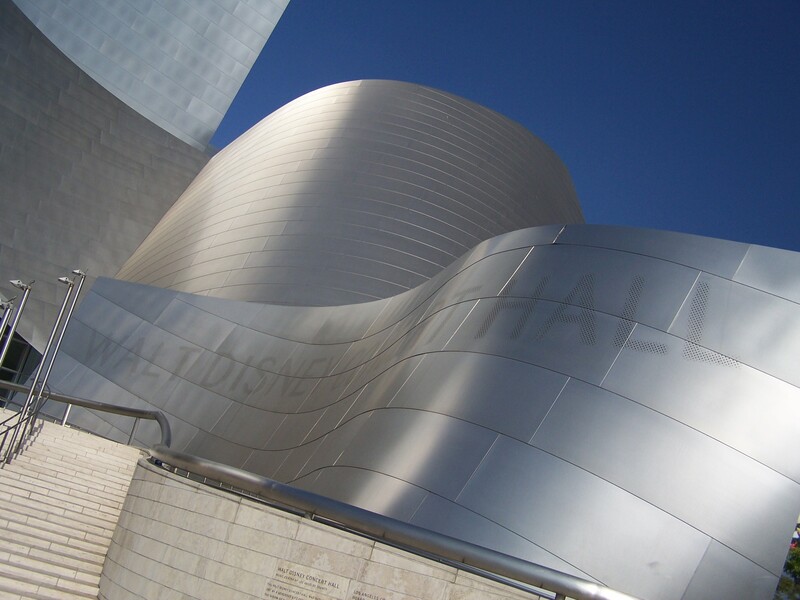 His most iconic works are the Walt Disney Concert Hall in Los Angeles and the Guggeinheim Museum in Bilbao, Spain. What this man was able to vision with titanium and stainless steel is other worldy. He epitomises the ideology of the deconstructivism style of architecture. 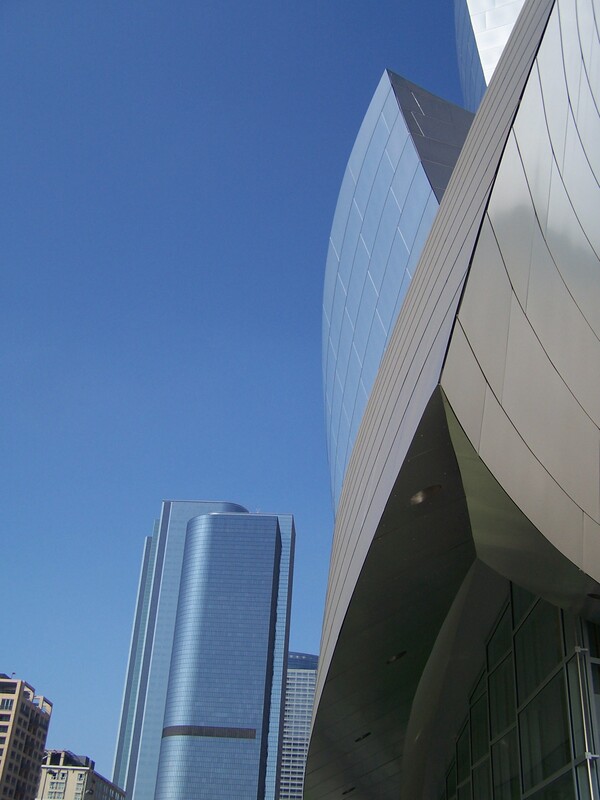 I have seen the Walt Disney Concert Hall and was fortunate enough to see it on a smogfree, bright blue skied summer LA day. It was only a few blocks walk from the downtown hotel I was staying at and early on a Sunday morning the streets were eerily quiet and the traffic non-existent. Because the sky was so beautifully coloured I decided to take my photos in colour and convert them into black and white later if I wanted to. By absolute chance, I recently found a DVD ‘Sketches of Frank Gehry‘ in the $5 bin at the local Blockbuster. It was a Sydney Pollack film on Gehry. The film gives a detailed insight on his life and work. Not too long ago on TV was the documentary series ‘Engineering Connections‘ presented by Top Gear’s Richard Hammond. One episode covered the design of the Guggenheim in Bilbao. The structural engineering behind this building is phenomenal. 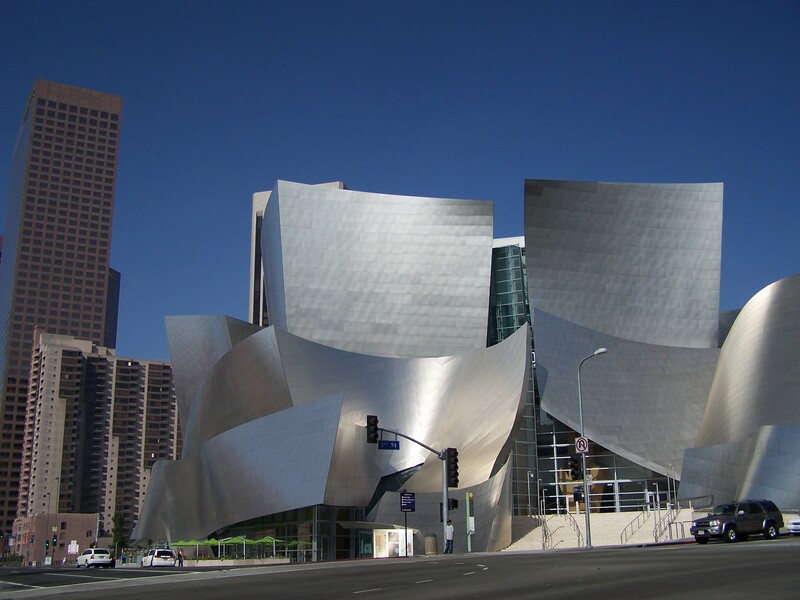 Gehry is still alive and is now 81 years of age. I hope that he is able to contribute a few more of his works of art in his lifetime. Another of my favourite pieces of architecture is the Getty Center (J.Paul Getty Museum) in Los Angeles. 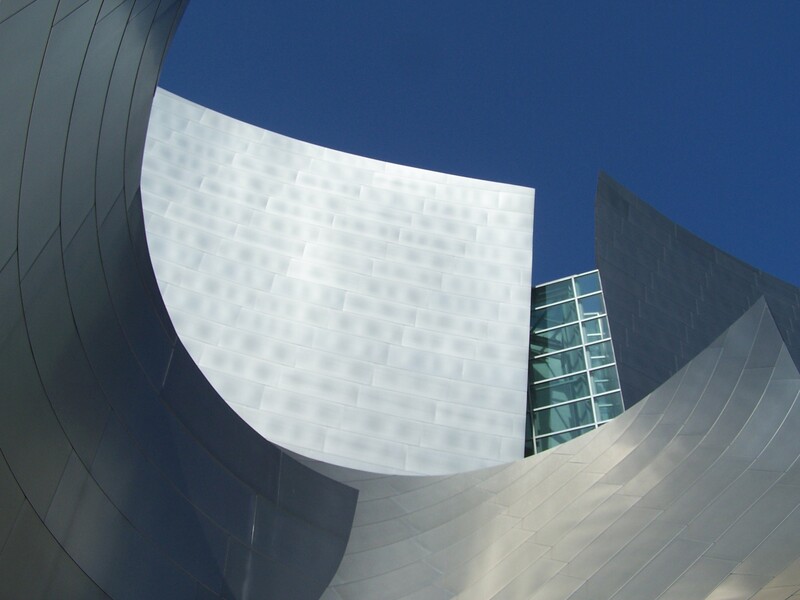 The architectural style is similar in its use of aluminium cladding. It was designed by Richard Meier and is worthy of a blog post all of its own: Buildings as Art: The J. Paul Getty Center, Los Angeles California.